During the Christmas season, The LorenzTeam volunteered at the Strathcona County Library’s annual Gift Wrap Fundraiser, where we wrapped presents for a few hours at the Sherwood Park Mall. We were happy to volunteer our time to support a good cause – our local library! Thank you to everyone who came and got their presents wrapped! After a busy day of volunteering, we had a great evening at our team Christmas party. We hope everyone had a wonderful Christmas! 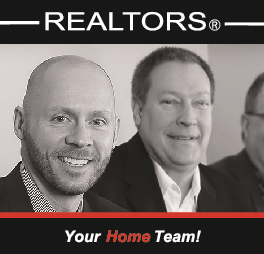 If you’re looking to buy or sell a home in the new year, give us a call! We’d be happy to help!